Take 19% off on WordPress Hosting with free data backups and ultra fast WordPress performance. 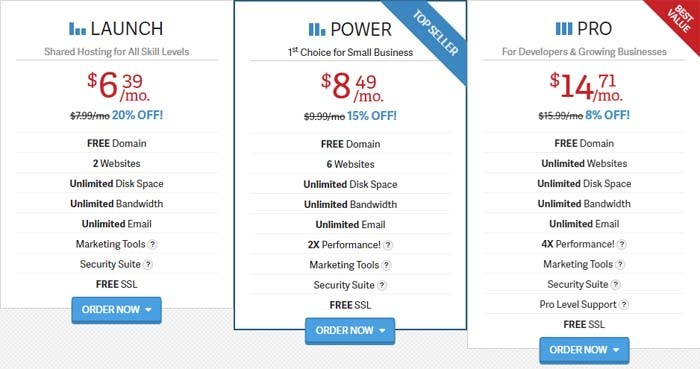 Shop Reseller Hosting with unlimited websites and resell domain. Enjoy VPS Hosting with free server management, reliable cloud infrastructure and Unlocked CPU cores. Get upto 20% off shared Business Hosting with free SSDs and free domain to get you started. 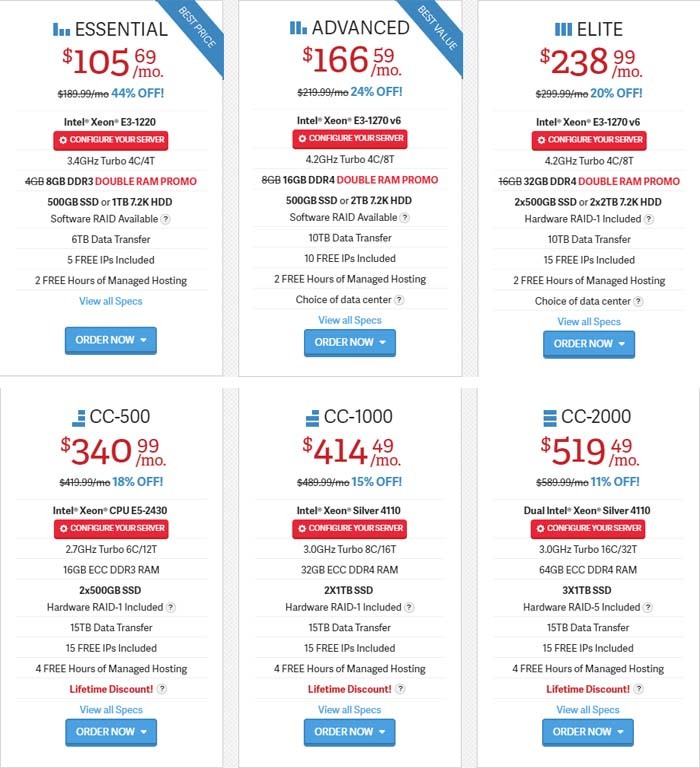 Buy Business Hosting with free SSL. Will I be charged every month or upfront for the hosting plan? At InMotion Hosting, most hosting plans are available for 1 year or 2 years term. You have to pay upfront for the term you choose. The rates are monthly; however, you pay at the start of each term for the entire term. If you apply promo codes you can save a decent amount off your plan. There are some plans that have 6 months term. Is discount only valid on the first term? Yes, in most cases discounts are only applicable on the first term’s bill. After your plan’s first term has expired, the plan will be renewed at regular rates for the same term. Does InMotion Hosting offer free transfers? Yes, for three or fewer websites, the transfer is absolutely free. Additional transfers are charged at just $10 per item. There are no hidden charges at InMotion Hosting. InMotion Hosting is a hosting provider based out of California. InMotion offers affordable, scalable, and flexible solutions for hosting for all types of businesses. From small startups to enterprises, there is something everyone at rates and discounts that are mind-blowing. InMotion Hosting is the only provider that offers a 90-day money back guarantee on its shared, VPS, and reseller hosting plans. You can use them for three months and if you are unsatisfied get your money back. They are also a top choice for customers because of their round the clock multi-channel support. If you want a Virtual Private Server, InMotion offers you two choices: Managed VPS Hosting and Self-Managed VPS Hosting. The managed option gives you the convenience and peace of mind about the management of your website and its content. If you want control, that too is at your disposal with the Self-Managed option. You can access the root server and have things your way. You get basically the same resources as with the managed plans. The first plan offers 3 IP Addresses, the second offers 4 IP Addresses, and the third offer 5 IP Addresses. You also get to choose the OS. Dedicated Hosting at InMotion is 20 times faster than shared servers. You get robust security, high performance, guaranteed resources, and reliable support. Plans start at $105 and there are plenty of options to suit your need. You get DDR3 RAM and SSD Storage with RAID option too. Fully Customized Dedicated Servers are also available in case their plans do not suit you or cover your needs. Resellers can find plenty of options to choose from. Whether you just want to start off small or have big goals and need a big plan for that, everything is there. Those who are already using reseller plans from someplace else can get free transfer support. There are 6 plans starting from as low as $15.39 per month. 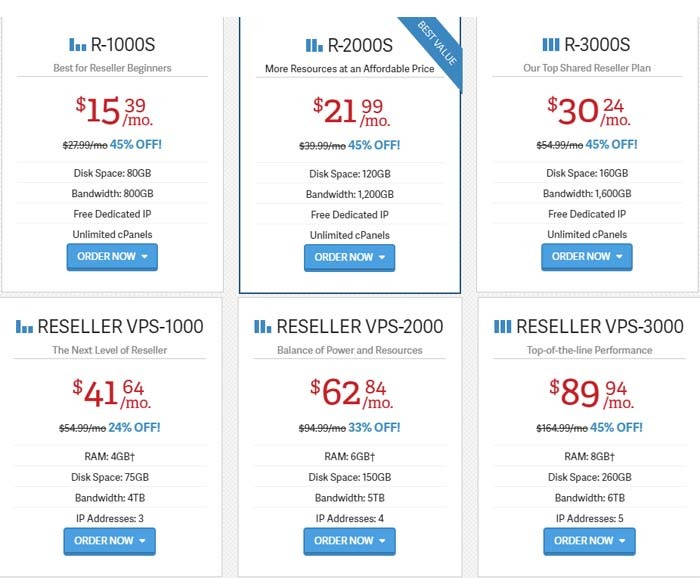 Three of these plans are Reseller VPS that bring you even more power and speed. InMotion has six different plans for WordPress Hosting that are capable of hosting all kinds of WordPress websites. Whether you are just starting a blog or have one with hundreds of thousands of visitors every month, you will find a plan to host your website. You can even get Premium Themes and Plugins subscription. 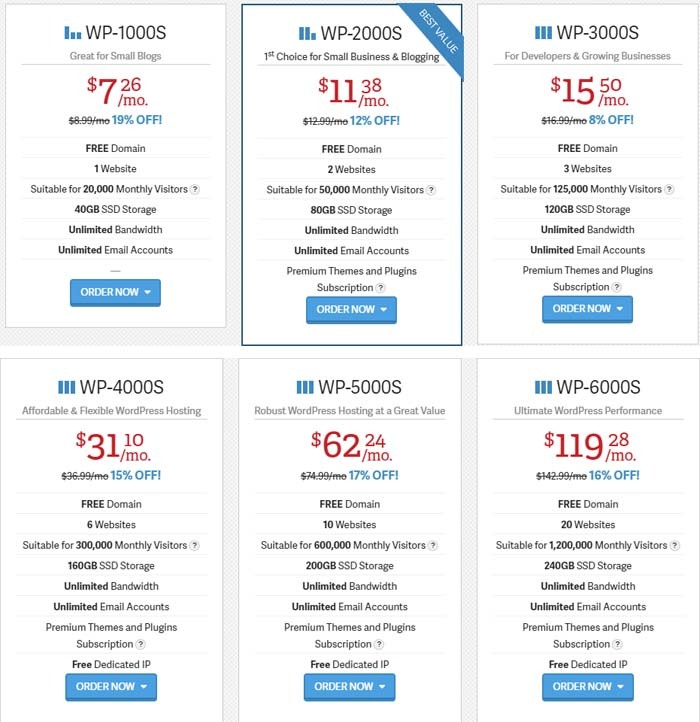 You can get the basic plan for WordPress at just $7.26 per month after discount.